Ofloxacin with NDC 70518-1892 is a a human prescription drug product labeled by Remedyrepack Inc.. The generic name of Ofloxacin is ofloxacin. The product's dosage form is solution and is administered via ophthalmic form. FDA Application Number: ANDA078559 What is the FDA Application Number? 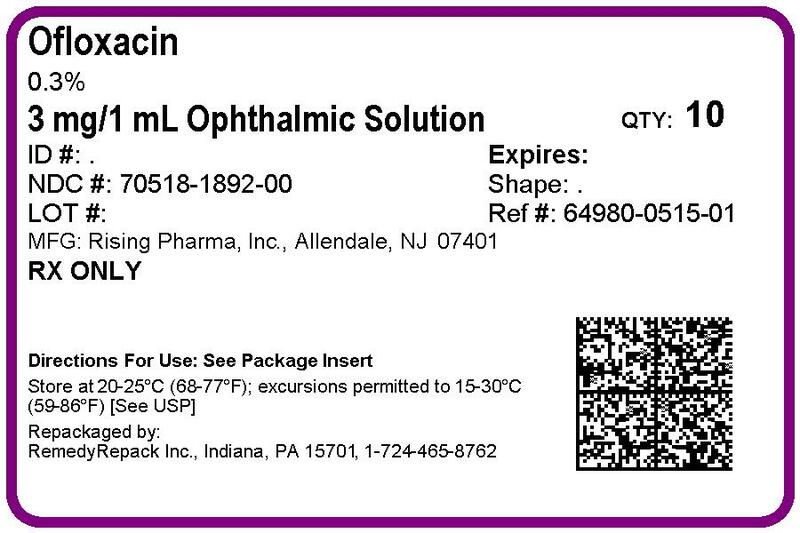 Ofloxacin ophthalmic solution is unbuffered and formulated with a pH of 6.4 (range 6.0 to 6.8). It has an osmolality of 300 mOsm/kg. Ofloxacin is a fluorinated 4-quinolone which differs from other fluorinated 4-quinolones in that there is a six member (pyridobenzoxazine) ring from positions 1 to 8 of the basic ring structure. Serum, urine and tear concentrations of ofloxacin were measured in 30 healthy women at various time points during a ten-day course of treatment with ofloxacin ophthalmic solution. The mean serum ofloxacin concentration ranged from 0.4 ng/mL to 1.9 ng/mL. Maximum ofloxacin concentration increased from 1.1 ng/mL on day one to 1.9 ng/mL on day 11 after QID dosing for 10 1/2 days. Maximum serum ofloxacin concentrations after ten days of topical ophthalmic dosing were more than 1000 times lower than those reported after standard oral doses of ofloxacin.Tear ofloxacin concentrations ranged from 5.7 to 31 mcg/g during the 40 minute period following the last dose on day 11. Mean tear concentration measured four hours after topical ophthalmic dosing was 9.2 mcg/g.Corneal tissue concentrations of 4.4 mcg/mL were observed four hours after beginning topical ocular application of two drops of ofloxacin ophthalmic solution every 30 minutes. Ofloxacin was excreted in the urine primarily unmodified. in vitro activity against a broad range of gram-positive and gram-negative aerobic and anaerobic bacteria. Ofloxacin is bactericidal at concentrations equal to or slightly greater than inhibitory concentrations. Ofloxacin is thought to exert a bactericidal effect on susceptible bacterial cells by inhibiting DNA gyrase, an essential bacterial enzyme which is a critical catalyst in the duplication, transcription, and repair of bacterial DNA. in vitro against most strains of these organisms but the clinical significance in ophthalmologic infections is unknown. Corneal Ulcers: In a randomized, double-masked, multi-center clinical trial of 140 subjects with positive cultures, ofloxacin ophthalmic solution treated subjects had an overall clinical success rate (complete re-epithelialization and no progression of the infiltrate for two consecutive visits) of 82% (61/74) compared to 80% (53/66) for the fortified antibiotic group, consisting of 1.5% tobramycin and 10% cefazolin solutions. The median time to clinical success was 11 days for the ofloxacin treated group and 10 days for the fortified treatment group. NOT FOR INJECTION.Ofloxacin ophthalmic solution should not be injected subconjunctivally, nor should it be introduced directly into the anterior chamber of the eye.There are rare reports of anaphylactic reactions, / shock and fatal hypersensitivity reaction in patients receiving systemic quinolones, some following the first dose, including ofloxacin. Some reactions were accompanied by cardiovascular collapse, loss of consciousness, angioedema (including laryngeal, pharyngeal or facial edema), airway obstruction, dyspnea, urticaria, and itching. A rare occurrence of Stevens-Johnson syndrome, which progressed to toxic epidermal necrolysis, has been reported in a patient who was receiving topical ophthalmic ofloxacin. If an allergic reaction to ofloxacin occurs, discontinue the drug. Serious acute hypersensitivity reactions may require immediate emergency treatment. Oxygen and airway management, including intubation should be administered as clinically indicated. in vivo cytogenic assay, sister chromatid exchange assay (Chinese hamster and human cell lines), unscheduled DNA synthesis (UDS) assay using human fibroblasts, the dominant lethal assay, or mouse micronucleus assay. Ofloxacin was positive in the UDS test using rat hepatocyte, and in the mouse lymphoma assay. In fertility studies in rats, ofloxacin did not affect male or female fertility or morphological or reproductive performance at oral dosing up to 360 mg/kg/day (equivalent to 4000 times the maximum recommended daily ophthalmic dose).Pregnancy: Teratogenic Effects:Ofloxacin has been shown to have an embryocidal effect in rats and in rabbits when given in doses of 810 mg/kg/day (equivalent to 9000 times the maximum recommended daily ophthalmic dose) and 160 mg/kg/day (equivalent to 1800 times the maximum recommended daily ophthalmic dose). These dosages resulted in decreased fetal body weight and increased fetal mortality in rats and rabbits, respectively. Minor fetal skeletal variations were reported in rats receiving doses of 810 mg/kg/day. Ofloxacin has not been shown to be teratogenic at doses as high as 810 mg/kg/day and 160 mg/kg/day when administered to pregnant rats and rabbits, respectively.Nonteratogenic Effects:Additional studies in rats with doses up to 360 mg/kg/day during late gestation showed no adverse effect on late fetal development, labor, delivery, lactation, neonatal viability, or growth of the newborn.There are, however, no adequate and well-controlled studies in pregnant women. Ofloxacin ophthalmic solution should be used during pregnancy only if the potential benefit justifies the potential risk to the fetus.Nursing Mothers:In nursing women a single 200 mg oral dose resulted in concentrations of ofloxacin in milk which were similar to those found in plasma. It is not known whether ofloxacin is excreted in human milk following topical ophthalmic administration. Because of the potential for serious adverse reactions from ofloxacin in nursing infants, a decision should be made whether to discontinue nursing or to discontinue the drug, taking into account the importance of the drug to the mother.Pediatric Use:Safety and effectiveness in infants below the age of one year have not been established.Quinolones, including ofloxacin, have been shown to cause arthropathy in immature animals after oral administration; however, topical ocular administration of ofloxacin to immature animals has not shown any arthropathy. There is no evidence that the ophthalmic dosage form of ofloxacin has any effect on weight bearing joints.Geriatric Use:No overall differences in safety or effectiveness have been observed between elderly and younger patients. Ophthalmic Use: The most frequently reported drug-related adverse reaction was transient ocular burning or discomfort. Other reported reactions include stinging, redness, itching, chemical conjunctivitis/keratitis, ocular/periocular/facial edema, foreign body sensation, photophobia, blurred vision, tearing, dryness, and eye pain. Rare reports of dizziness and nausea have been reported. To report SUSPECTED ADVERSE REACTIONS, contact Rising Pharmaceuticals, Inc. at 866-562-4597 or FDA at 1-800-FDA-1088 or www.fda.gov/medwatch. Instill one to two drops every two to four hours in the affected eye(s). Instill one to two drops four times daily. Instill one to two drops into the affected eye every 30 minutes, while awake. Awaken at approximately four and six hours after retiring and instill one to two drops. Instill one to two drops hourly, while awake. Instill one to two drops, four times daily. 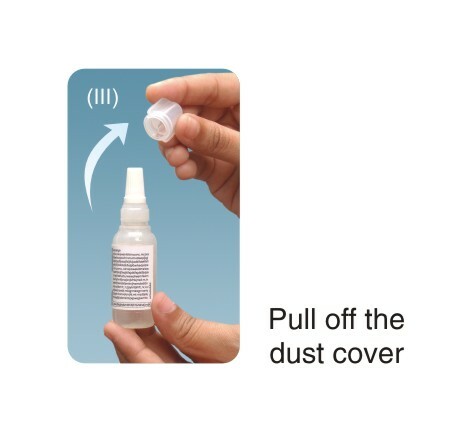 Ofloxacin Ophthalmic Solution 0.3% is supplied sterile in a labeled translucent LDPE bottle with insert cap assembly comprising of tan colored HDPE screw cap over a LDPE nozzle with tamper-evident LDPE dust cover sealing the bottle cap.5 mL in 5 mL bottle NDC 64980-515-0510 mL in 10 mL bottle NDC 64980-515-01Note: Store at 20° to 25°C (68° to 77°F)[see USP Controlled Room Temperature]. 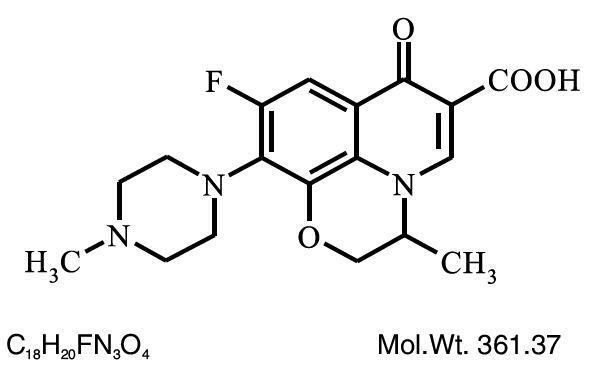 Rx OnlyManufactured By:FDC Limited,B-8, MIDC Industrial Area, Waluj, Aurangabad - 431 136,Maharashtra, IndiaManufactured for:Rising Pharmaceuticals, Inc.Allendale, NJ 07401Toll free number: 1-800-521-5340Revised: 12/2018INSTRUCTIONS FOR USEPlease follow these instructions carefully when using Ofloxacin Ophthalmic Solution.Use Ofloxacin ophthalmic solution as prescribed by your doctor.1. If you use other topically applied ophthalmic medications, they should be administered at least 10 minutes before or after the use of Ofloxacin ophthalmic solution.2. Wash hands before each use.3. 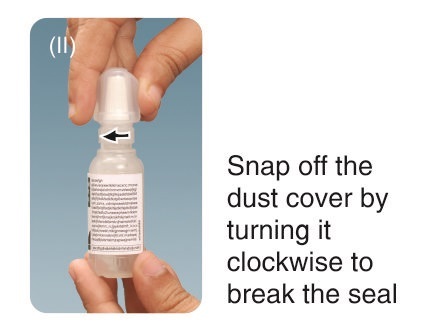 Before using the medication for the first time, be sure the dust cover seal is unbroken.4. Refer (I-VI) 5. OPHTHALMIC MEDICATIONS, IF HANDLED IMPROPERLY, CAN BECOME CONTAMINATED BY COMMON BACTERIA KNOWN TO CAUSE EYE INFECTIONS. SERIOUS DAMAGE TO THE EYE AND SUBSEQUENT LOSS OF VISION MAY RESULT FROM USING CONTAMINATED OPHTHALMIC MEDICATIONS. 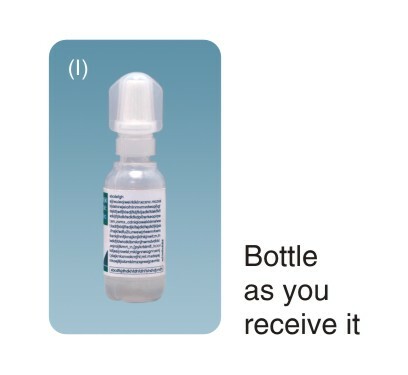 IF YOU THINK YOUR MEDICATION MAY BE CONTAMINATED, OR IF YOU DEVELOP AN EYE INFECTION, CONTACT YOUR DOCTOR IMMEDIATELY CONCERNING CONTINUED USE OF THIS BOTTLE. 6. Repeat (V) and (VI) with the other eye if instructed to do by your doctor.7. The insert tip is designed to provide a premeasured drop; therefore, do NOT enlarge the hole of the insert tip.8. 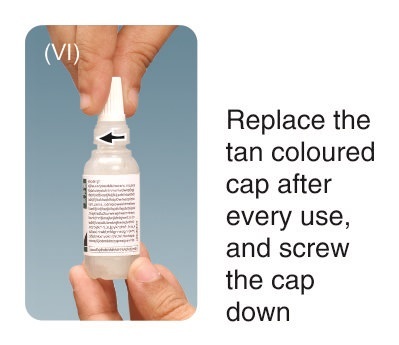 After you have used all doses, there will be some Ofloxacin Ophthalmic Solution left in the bottle. You should not be concerned since an extra amount of Ofloxacin Ophthalmic Solution has been added and you will get the full amount of Ofloxacin Ophthalmic Solution that your doctor prescribed. Do not attempt to remove excess medicine from the bottle.WARNING: KEEP OUT OF REACH OF CHILDREN.IF YOU HAVE ANY QUESTIONS ABOUT THE USE OF OFLOXACIN OPHTHALMIC SOLUTION, PLEASE CONSULT YOUR DOCTOR.